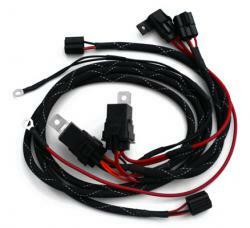 The Rennbay Headlight Relay Harness replaces the main wiring run to both headlights. It takes the electrical load off of the stock wiring and passes it via a set of high amperage relays. The problem with the stock headlight wiring is that with age it has built up much more resistance than when it was first installed at the factory. This is not a big problem when stock wattage bulbs are being used. When higher wattage bulbs are put in place with the factory wiring, the added resistance creates so much heat that electrical fires are not uncommon. 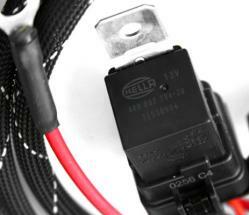 Our headlight relay harness takes all of the load off of the existing wiring to remedy this problem. 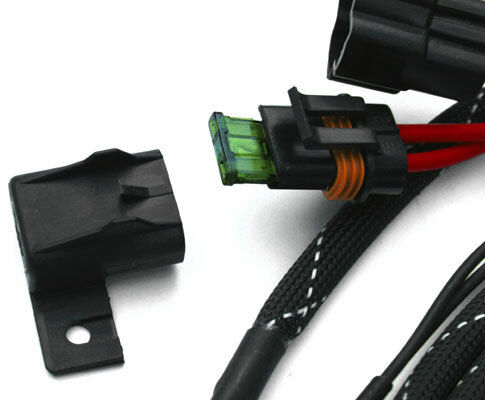 Installation requires only to plug in the connectors and all of the dash controls still function as normal.